Here's my Cashew Mutton Masala recipe! The ingredients might look too long for you, but the end result counts! I love to dip some crispy paratha in this masala ;) Enjoy!!! (A) Mix together and cook in pressure cooker until meat is tender. You can also boil in a pot over the stove. Set aside. Heat ghee/oil in a wok. Saute cinnamon stick, cloves, star anise, cardamoms and fennel seeds. Add onion, chillies and curry leaves. Stir for 1 minute. Add grind ingredients and continue stirring for 2 minutes. Add boiled mutton pieces and mix together. Add potatoes and sufficient water (broth). Add in chilli powder, turmeric powder, coriander powder and salt. Mix and close the lid. Allow gravy to boil for few times or until potatoes are cooked. Stir occasionally. Lastly, add tomatoes and mix together. Check for salt. Mix the gravy and dish out. 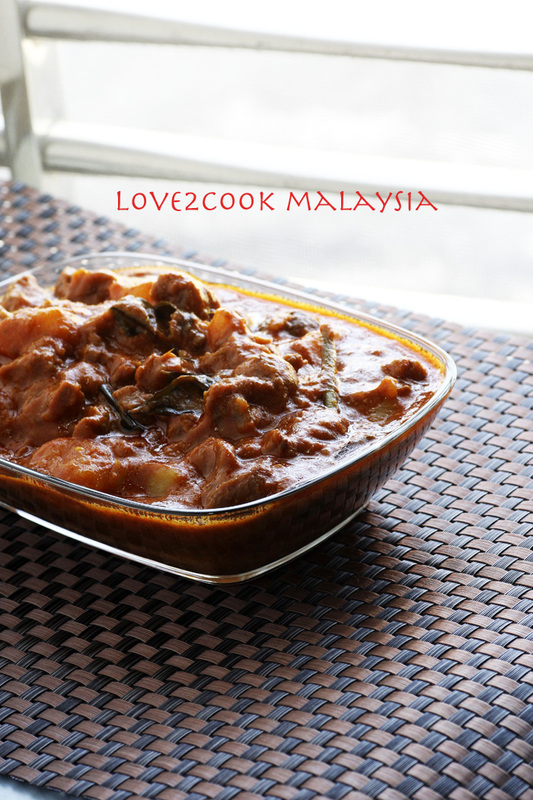 Yummy...Spicy and lipsmacking mutton masala. I love the dish very much. woww..this is a must try recipe!! thnx love for sharing!! Sri, this is really awesome. I usually order this dish when I go to an Indian Restaurant. omg it looks so rich and creamy sri :) wish to have some with rice.. Wow!! very tempting mutton, I have never tried lemon grass with mutton, definitely going to give it a try! Seriously i want that droolworthy masala rite now, i can enjoy it thoroughly with a bowl of rice..
Hai Love...lama x bw..hehe..rajinnya u masak.. Seriously, I'm drooling now ! Such a flavorful bowl of heavenly goodness :) What if there is a long list of ingredients, the end result is lipsmacking & yummy ! wahh sangat sedap..sampai beberapa kali tenung pic tue..he hehee..yummy sgt. Oh dear, each time i drop by your blog, my craving for indian food goes up the roof. 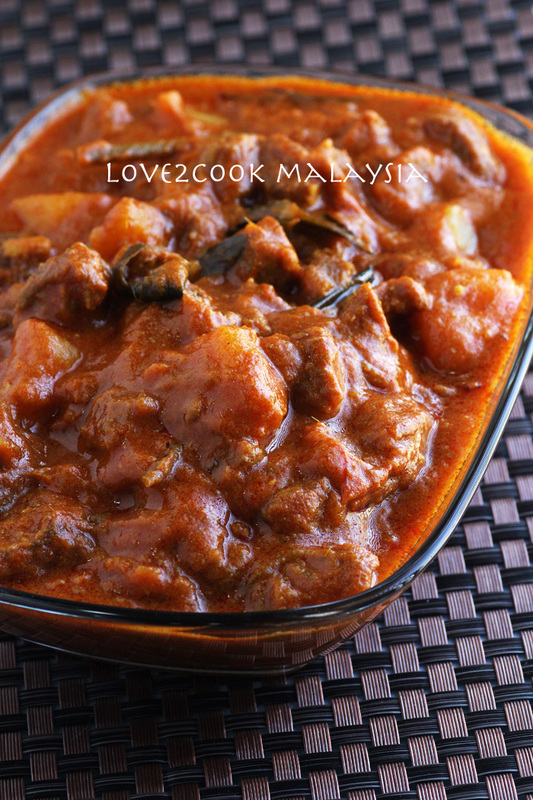 I love mutton curry and this version sounds delicious! 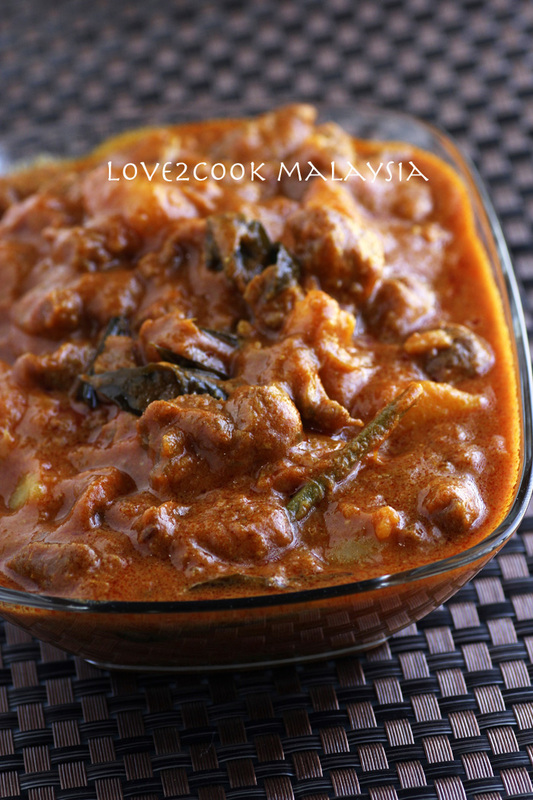 wow rich n creamy mutton !